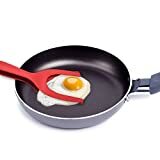 Have trouble flipping eggs and then breaking the yolks in the frying pan? 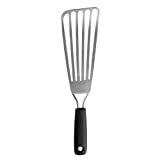 Then check out this cool new Egg Spatula. 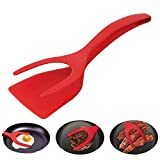 This unique cooking utensil combines a spatula with tongs so you can protect the yolks while securely grabbing and flipping slippery eggs with ease. 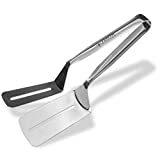 It's also great for grabbing and flipping burgers, bacon, pancakes, poached eggs, and more. 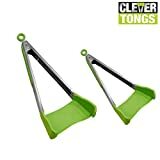 Handy solution.